One of the worst feelings you can have at any time in your life is that feeling of helplessness that comes with the lack of capability in the vehicle you drive and enjoy on the roads in your area. When the foul weather arrives you need to have a vehicle that can offer you the quality drive that’s right for you. 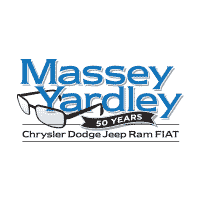 Make your way to Massey Yardley Chrysler Dodge Jeep Ram Fiat in Plantation, FL to find the right Jeep SUV deals to ensure you have the vehicle with the capabilities you’re looking for in North Lauderdale, FL. 2015 Jeep Grand Cherokee SRT 4WD – This is one of the largest Jeep SUV models on the road and it deals up the power you want with an amazing engine under the hood. You’ll love the fact there are only 14,000 miles on the odometer and the long list of features offered to make the drive right for you in North Lauderdale, FL. Come in and take this SUV for a test drive today. 2017 Jeep Renegade Latitude – You’re sure to want to enjoy the ride in this small and active Jeep SUV that has the qualities you’ve been searching for. Take a ride in this vehicle when you visit this dealership and let them show you the deals you can secure that will make this the model that fits where you want in North Lauderdale, FL while also offering you the capabilities you want. 2016 Jeep Cherokee Limited – If you want to see one of the most modern appearances you’ll find in a Jeep SUV, you need to see this impressive SUV. Take a look at the deals offered and the long list of features for this trim level that make this an SUV that can be the right one for you to have the drive you’ve been searching for on the roads around North Lauderdale, FL. 2016 Jeep Compass Sport 4WD – Here is a compact Jeep SUV that shows up with the ride qualities you want and the name you know. There are several deals you can make for this model that will easily become the ride you want when you want to drive in North Lauderdale, FL. Take a test drive and see how easily this model can become the right vehicle for you to enjoy. 2016 Jeep Patriot Latitude – When one of the most affordable Jeep SUV models is the right choice for you, this can be the one that will give you what you want. Take a look at this SUV and admire the classic Jeep appearance that you’ll enjoy when you secure one of the deals for this SUV that you want to take with on the roads around North Lauderdale, FL.